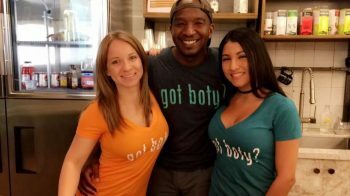 BOTY is a great new app that connects patrons with bartenders in a brand new way and it’s changing the image of the bar. 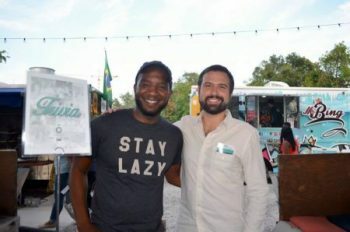 As a bartender, this writer was especially interested in the concept and sat down with the founder, Brian Turner, to get the low down. BT: BOTY is about connecting people at the bar. Technology has disconnected us and social media fools us into feeling connected when we’re not. BOTY believes that the bar is that center for genuine connectivity. The BOTY mobile app is technology we created to reconnect people. BOTY is also a community enhancing the bar experience and supporting the industry. We offer bar challenges, trivia meetups, and so much more. AD: Tell me about some of the stigmas against bartending and bartenders you’re trying to address with the BOTY app. BT: Many times bartending is depicted in a negative light, whether it is the reputation that bartenders are uneducated or it’s not a real job. 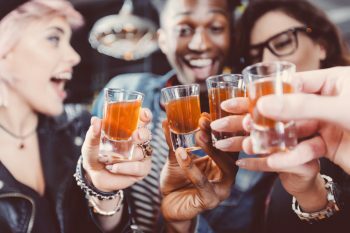 There is also the stigma that goes along with being a frequent bar goer. BOTY strives to change these stigmas. Bartending is a great profession and the bar isn’t just for alcoholics, it’s the place you go to have authentic interactions. That’s why BOTY feels the bar is the center for genuine connectivity. Our podcast, blog and message board are some of the ways we address all of these things. AD: A lot of people think that bartenders don’t have degrees, or they’re doing it because they can’t do anything else, and not necessarily because they want to or it’s actually a great option for a career. BT: I’ve known bartenders with advanced degrees and also own businesses. A lot of them do it because they love it. Mark Cuban even said, if he lost everything, he would get a job as a bartender at night and a sales job during the day. I truly believe that being a bartender has so much more to offer if done right. And even if they do have a degree, the myths about bartenders are that they’re irresponsible, drink all the time, and sleep all day. Part of the concept of BOTY is that we do believe it’s a real profession and we believe it can be a great one. Bartenders have flexibility and freedom (more so than many other professions) which allows them to travel, meet amazing people, and move around. Have you ever wondered why it’s so hard to quit bartending even with the degrees and other ‘good’ jobs? AD: Yeah you are right! Now let me ask, exactly how does BOTY empower bartenders? BT: BOTY is a platform that gives bartenders a way to market themselves to employers, document their following and collect ratings that reflect their skills. Within the app, bartenders can connect with their customers on a business level. They can share their work schedule, and this allows them to work at multiple locations or change bars while keeping their customers up to date. This gives bartenders a professional platform without having to compromise their personal space. AD: So one particular use to me would be that if I changed jobs I would still be able to let all my customers know where I was going and what nights I was working. BT: Exactly. The problem is now that so many bartenders give out their personal information. I might like the persona of you the bartender, but may not feel the same way after being your friend or follower on social media. 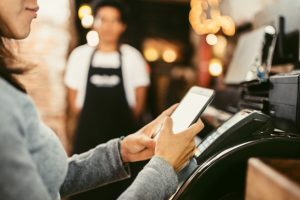 It may seem like a good idea to connect on a personal level with a customer, but this may force you to lose business and money. And then there are stalkers and people trying to take the relationship to a much creepier level. BOTY is specific to your business. When a bartender checks in, their followers get alerted to come to the bar where they work putting money making opportunities in their hands. This is just one of the many options BOTY offers. AD: Without having to necessarily give someone your cell phone number or become too involved. I can see that being helpful for women, especially. BT: Exactly. It’s a great way to connect with others, both customer to customer or bartender to customer within the bar community without compromising your personal phone number or social media details. AD: Its seems like you’re trying to add a level of professionalism, or something that’s missing, to the situation because it such a casual environment. But, it could stand to be a little more regulated, right? BT: Yes, we want to help bartenders turn this mostly under regulated and discussed profession into a legitimate and respected career. The BOTY community supports both the bar, the bartender and the service industry as a whole. The app is a platform for bartenders to market themselves, prove their skills and following to employers, and manage their relationships with their customers. AD: What is BOTY like from the perspective of the bar customer? BT: So first of all the same concepts apply. 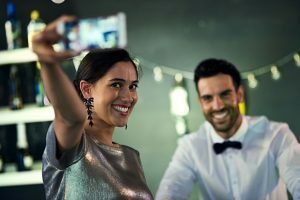 A lot of times you don’t want to post the pictures of you taking shots at the bar on your social media pages (with family, co-workers, and others watching) so BOTY lets you keep it separate. You can build up a following of friends and bartenders so when you go out you check in and everyone that follows you will be alerted that you’re at the bar. And then of course you can follow and rate bartenders. You can also decide where to go based on a particular bartender. Once you get there you can see all if the individuals with a public profile who are checked in so it gives you a warm introduction to meeting someone new. BOTY is great for introverts. We have funny pick-up lines/flirt messages you can send to someone at the same bar to break the ice. The ultimate concept of BOTY is to actually connect people together using the app, and then you go and have real conversations. BOTY also connects customers by playing trivia within the app. It’s a social app that helps connect people real-time face to face. AD: So you’re using the tools of social media to bridge the gap between people that social media may have hurt? BT: Exactly. We are using social media to allow people to be social since aspects of social media prevents that. Yeah that’s a mouthful. Also, as I said earlier, you can play trivia in the app and naturally that creates this competitive vibe between people at the bar that may have never spoken with one another without it. AD: I want to ask about your own background and what’s next for BOTY. BT: I own a separate business, a homecare business in Washington, DC and Maryland and of course I own BOTY. I come from a corporate background but I’ve been an entrepreneur since I was a kid. I love going to the bar as I believe it’s the greatest platform to connect with people, build relationships, conduct business, and so much more. I’m naturally an introvert so when there’s a good bartender, it’s a much more enjoyable experience. So, as an avid bar goer I figured out a way to make the experience better for all the people involved. 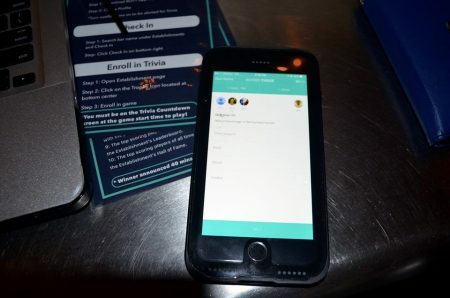 Expect to see more bar challenges and trivia meetups in bars all throughout South Florida. BOTY will be coming soon to Android to provide all the ability to have a better bar experience. We are testing out our concept that allow users to cowork at the bar. We are adding new enhancements that would allow us to scale and improve the user experience. Oh and we will provide ways for bartenders and others in the service industry to make more money while working. Our goal is to connect people face to face at bars all across the world. AD: Thank you and good luck!